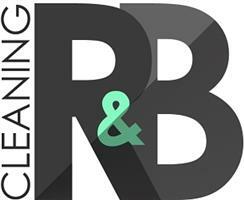 R&B One Cleaning Service Ltd - Cleaning Services based in New Malden, Surrey . R&B cleaning is a wholesome and enthusiastic start up cleaning company, run by a professional cleaner with 8 years of experience in the trade. Our work is of the highest standard and we insist that all our employees uphold that standard. We operate in all areas with “KT” and “SW” postcodes. For example New Malden, Kingston, Surbiton, Thames Ditton, Chessington, Hampton Court West and East Mosley, Teddington, Richmond, Berrylands, Esher, Cheam, Cobham and more. If your residence is not located in these areas, we still might be able help you, however we will need to charge extra in order to cover time and travel costs. This amount is negotiable and largely depending on your area of residence. If you simply want to enquire into the possible cost and hours needed for your property. You can call us and set up a meeting, with no charges or strings attached.